As the title indicates, this memoir is an act of map making, of plotting out overlapping territories--topographical, temporal, and psychological. Centered on family life in a Massachusetts town from the 1920s to the 1960s, the author's investigation extends outward to include the Boston area from colonial times to the recent past, encounters with Boston's Museum of Fine Arts and with Harvard College, the American Civil War, and Ireland and Germany in the nineteenth century. Charles Fanning re-creates the landscape of childhood and adolescence in a place and time both ordinary and rich with possibility. An expert on Irish immigration, he was born and raised in Norwood, Massachusetts, twelve miles outside of Boston, where Yankee and Irish cultures bumped against each other. The narrative traces his personal growth, shaped by family, school, baseball, radio drama, and art. He was the first in his family to attend college, and the book ends with his undergraduate experience at Harvard, class of 1964. 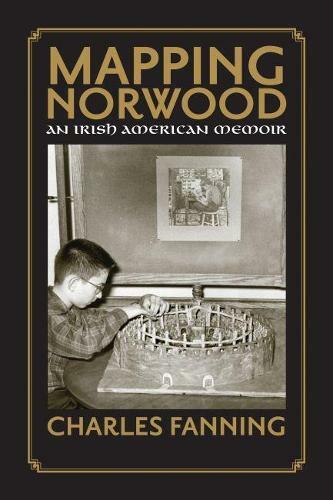 Along with this coming-of-age story, Mapping Norwood features forays back in time, including chapters on each of Fanning's parents and historical excavations and meditations on three ancestors. Guided by his own experience as a scholar, the pressure of these chapters is epistemological--the thrill of the hunt toward knowing. Fanning's great-grandfather, John Fanning, disappeared from the family in the late 1880s, and a chapter chronicles the discovery of ""Walking John's"" fifty years of hidden later life in East St. Louis, Illinois, where he died alone in 1946. Fanning's great-great-grandfather, Winslow Radcliffe, was a veteran of the 35th Massachusetts Infantry in the Civil War, and the author traces this regiment through the horrors of Antietam and Fredericksburg, by means of diaries and letters by four men from Winslow's company. The evidence gleaned helps explain Winslow's suicide after the war. An Irish immigrant ancestor, Phillip Fanning, came to Boston from County Monaghan just after the Great Famine of the late 1840s. Relying on historical research, Fanning imagines vividly the lives led by Phillip's family and thousands like them in the wake of Ireland's nineteenth-century catastrophe.